They do more than protect you from the wind, rain and snow, and they do more than help to control the temperature for all that lies beneath the eaves. Roof shingles add a layer of character to your home. When deciding on the type of shingles that will cap your cherished abode, there are a few options. Aside from the type of material, there are a few key points to understand when deciding between architectural 30-year and 50-year roof shingles. Thicker and distinctive, architectural shingles are made of a premium grade of asphalt shingles. They have a more textured appearance than typical asphalt shingles. They were first used in the 1970s as laminate or dimensional shingles. Manufacturers created them to attract homeowners with a higher-end product that gave the roof more character and charm but was still more or less affordable. They have differing sizes and shapes than typical three-tab shingles. 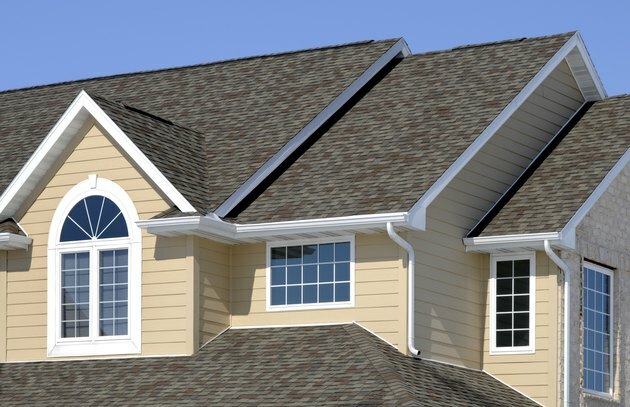 This allows the architectural shingles to give dimension to your home's cap. A new roof is a big investment. Therefore, you will want to consider are a few things when choosing the product for your roof. There are many types of shingles. Composition shingles will need to be replaced within a dozen or so years, while asphalt shingles can hang securely to a roof for double that amount of time. Metal roofs are probably the most durable, with a turnover rate of nearly 50 years. However, architectural shingles can have a durable lifetime of sticking to the roof for 30 to 50 years. Always check the warranty of the brand of shingle you plan to buy. Architectural shingles of 30-year or 50-year distinction should last as long as the warranty guarantees, but make sure you buy the proper shingles for the weather conditions that will be plaguing your roof all year round. While nearly all shingles come with limited warranties, the 30- and 50-year shingles have more specific guarantees that come with the product. The 30-year shingles are covered by the manufacturer for any defects that occur before and after the shingles are laid on the roof. This doesn't mean they will cover the usual wear and tear a roof receives over harsh winter months and blazing summer seasons. The 50-year shingles have an advantage because upgraded materials are used in the manufacturing process. They can handle all that a roof must endure, such as freezing hail, riotous winds, slashing downpours and brutal heat waves.